In an interview with the Los Angeles Times about his Oscar nomination for Best Actor, Malek claims that “as far as” he knew he was in consideration for the role before Singer was chosen to direct the project. “As far as I knew, I was considered before Bryan was even attached. So I had my head down preparing for this for about a year ahead of time, and I never really looked up. I didn’t know much about Bryan. I think that the allegations and things were, believe it or not, honestly something I was not aware of, and that is what it is. Who knows what happens with that … but I think somehow we found a way to persevere through everything that was thrown our way,” Malek says. Singer eventually was fired from the film for failing to report to set which Singer says was due to caring for his sick mother. He was replaced by Dexter Fletcher. Despite Singer’s removal from the project, he is still listed as the film’s director. 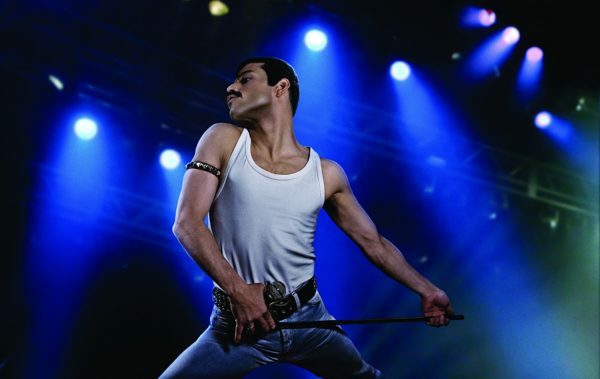 “Bohemian Rhapsody” has since been nominated for five Oscars including Best Picture. At the time of filming, Singer faced multiple sexual misconduct allegations all of which he denied. In 2014, two accusers filed lawsuits against Singer for alleged sexual misconduct while they were underage. The lawsuits were dismissed. Cesar Sanchez-Guzman also filed a lawsuit against Singer in 2017 claiming Singer raped him on a yacht when he was 17 years old. A new report from the Atlantic includes interviews with four new victims who also allege sexual misconduct against Singer.